The Yahrtzeit Memorial Wall at Chabad honors the memory of our dear departed family members. The cost for a standard plaque is $250 (and is tax-deductible). Each plaque will be engraved with your loved one’s name English and Hebrew (if known) and date of passing on the Jewish and secular calendar. · The memorial bulb will be lit during the month of the Yahrtzeit and for Yizkor Services. · A memorial prayer will be made for your loved one during the Yizkor services on Yom Kippur. 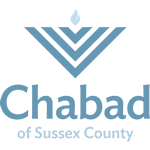 For more information, assistance, or further questions, please call us at 973-726-3333 or email at rabbi@jewishsussex.com.